Subang Jaya, 4 October 2013 – Glitter and glam filled the night with more than 700 guests who watched Die Fledermaus by Johann Strauss. 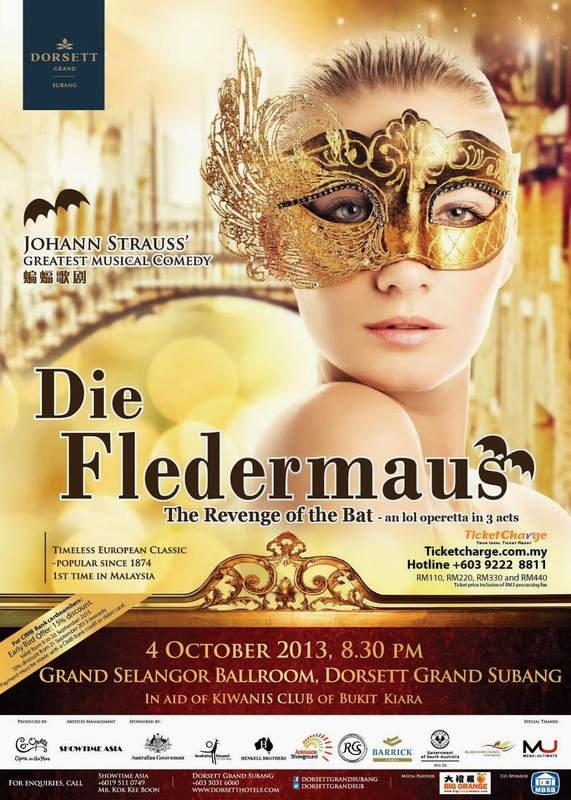 Themed, "Revenge of the Bat", the gala charity musical comedy by Johann Strauss' "Die Fledermaus" was presented by Dorsett Grand Subang, and produced by Co-opera together with Showtime Asia as the co-producer. 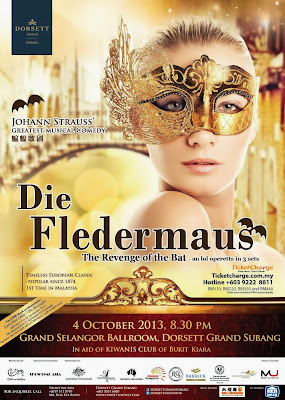 "This is our first time bringing world renowned musical comedy, Die Fledermaus to Dorsett Grand Subang and to Malaysia. With this charity musical event, we hope to raise some funds for Kiwanis Club of Mount Kiara." said Datin Jasmine Abdullah Heng, Vice Chairman of Dorsett Hospitiality International who is also a Board Director of the Kiwanis Club of Bukit Kiara. The musical tells the story of how Dr Falke was hideously embarassed by his best friend Gabriel Eisenstein when left naked in the centre of town with only his mask to cover his crown jewels after a drunken fancy masked ball. The hideous embarassment in front of the whole town requires revenge! Awesome Performance with Magnificent Orchestra! The show started at around 9.00pm and it was then divided into a few segments with a few breaks in between. It was a show with impressive stage performance and also great musical orchestration by wonderful group of musicians. The orchestra group was placed right in front of the stage. When the orchestra started to perform the musical pieces, the audience was already mesmerized by it. But all the audience was even more delighted when they got to see the stage performers singing with top-notch vocal that can enthrall you. Great acting with comedic effect! All of the actors have performed well on stage with not only their vocals but also with their acting too. The casts have put up a great show with convincing acting as well as comedic facial expression that has brought many joy and laughter to the crowd. One of my favorite characters in the show was the Alfredo (played by Alberto Abate). For me, his acting was great enough to make me laugh every time he appeared. Of course, all the other performers were spectacular too. Impressive Vocals that amazed the crowd! Without using the microphones, the performers can still sing very loud and clear while moving around and acting on the stage. Besides, there were a few songs in the musical comedy that hit very high pitch, but some of the performers especially Adele (played by Sara Lambert) and Rosalinde (played by Lynette Harris) were able to deliver those difficult notes effortlessly. When they sang the high notes, the crowd was impressed and gave them a big round of applause for the wonderful singing. Great Setting for the show! Besides the show, the setting for the show has enhanced the experience as Dorsett Grand Subang grand ballroom was a glamorous venue for this spectacular performance. The lighting during the show was great and was able to illuminate the stage very well for the audience to view. The Crowd Loves The Musical Comedy! The charity musical comedy has gained many positive reception and overwhelming response from the public when the show had a full-house attendance. "The crowd was great! 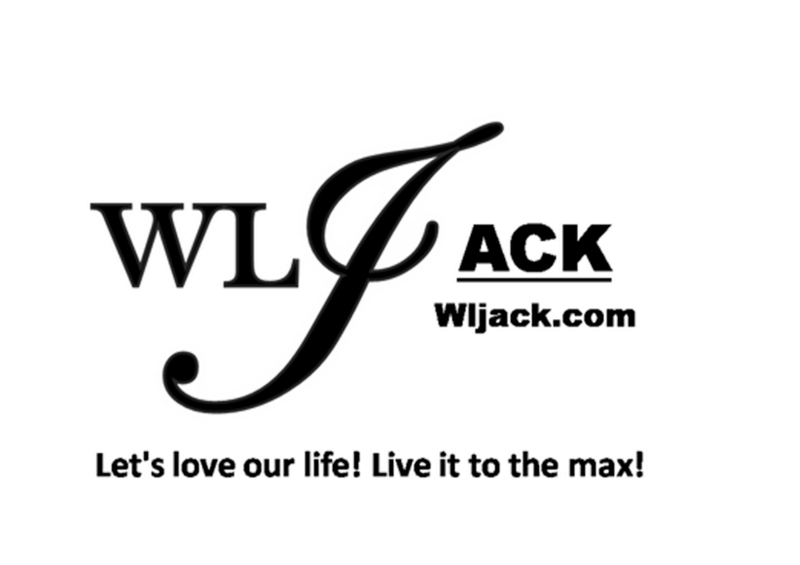 We are glad that they have enjoyed the show as much as we had!" said Frank Ford AM, the Director of Die Fledermaus, who is also part of Co-Opera. Co-Opera (http://www.co-opera.com.au/news.html) is the most travelled opera company in Australia.. The new production of Die Fledermaus in Malaysia is fully sponsored by Australian Government and in collaboration with Showtime Asia. 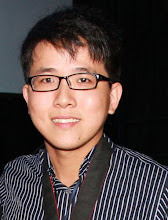 Showtime Asia (www.showtimeasia.my) is the performing arts Management Company and producer in Malaysia. Big Orange Media (www.bigorangemedia.com) is the media partner whilst the show is supported by CIMB Bank Berhad. Millions thanks to Dorsette Grand Subang for the invitation. *** In the meantime, I have also took the opportunity to try out two awesome gadgets Ninetology U9X1 and Samsung Galaxy S4 for the Tech Kaiju during this wonderful event! Photo taken using Samsung Galaxy S4!